This week I’ve been indulging myself in pursuing inspiration that motivates me to create new art and explore techniques. 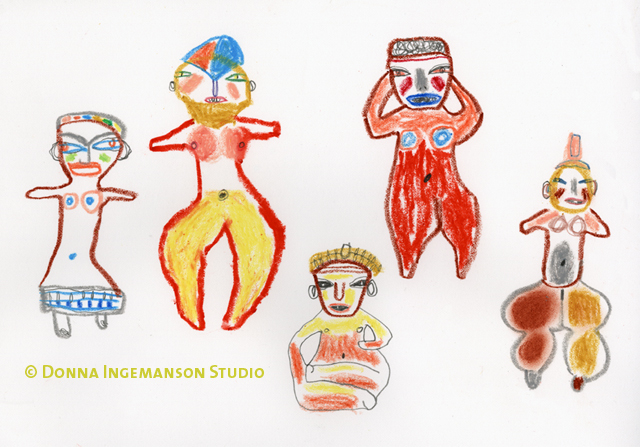 Every Wednesday evening from 6 to 9 pm at the Museum of Fine Arts in Boston they hold Drawing in the Galleries. This week it was in the new Art of the Americas wing which has some of my favorite Pre-Colombian pottery and artifacts. Here’s my sketch of women that were simply irresistible. This is a detail from one of my newest monotypes. It was great to get back into the printmaking studio this past Monday. This is a detail from a piece that I worked on from memories of Steinhatchee, FL. The first print that was pulled was more realistic but I kept working until I felt I captured more of the essence of the place by making it abstract. Donna, that is a great gallery at the MFA. I’ve drawn the figures, figurines, clay, gold, you name it, many many times. Your drawings above are fun and inspired. If I get there for the Wednesday night sketching I’ll look for you. 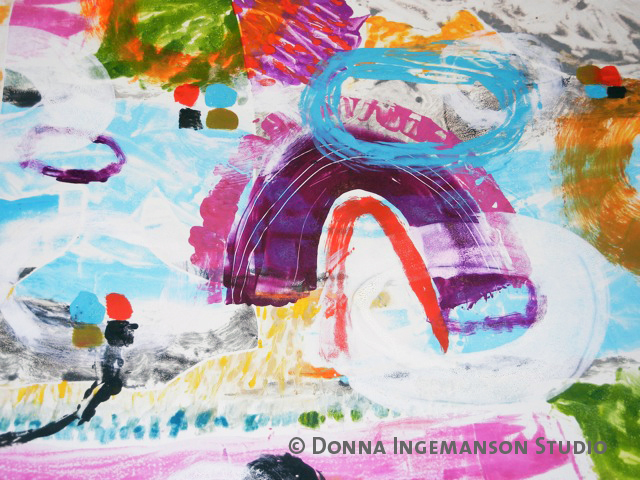 You are currently reading experimental… at donna ingemanson studio.